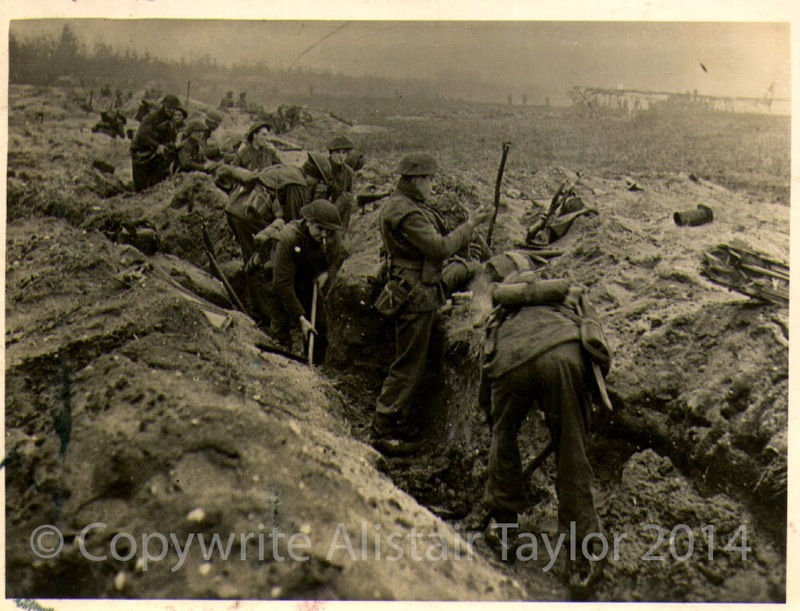 These photos were passed on to me by a collector friend of mine, Alistair Taylor. They show British infantry dug in on the site of one of the glider landing zones clearly sometime after the airborne assault itself judging by the condition of the Waco/Hadrian gliders! 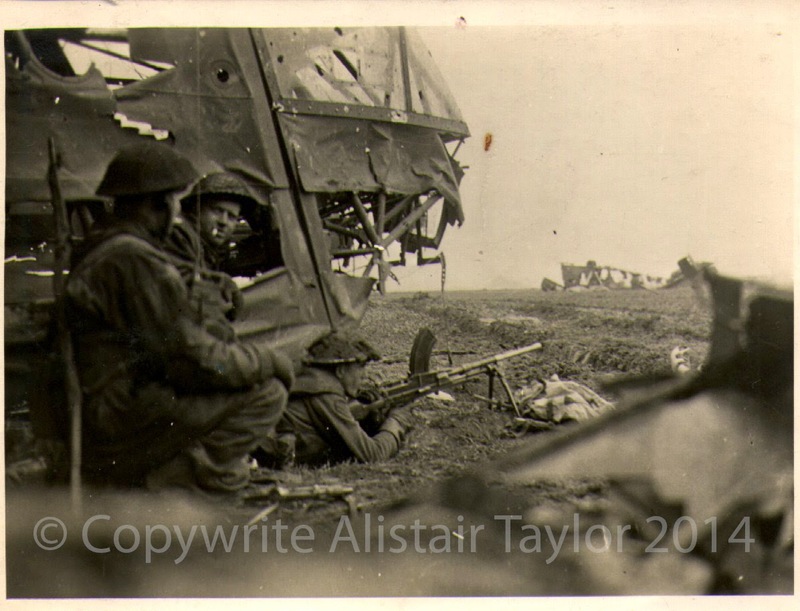 A British Bren team takes up position by the nose of a wrecked Waco/Hadrian glider. March 1945. British infantry dig in with the wreckage of a Waco/Hadrian glider visible in the distance. March 1945.